Mr. Neave has heard countless times that he, his wife, his daughters, and his son are the ideal family. However, now an old man, Neave reflects on those he shares his life with—their desires, their understanding of him, and their role as a family—and he finds the reality is quite different from the perception. 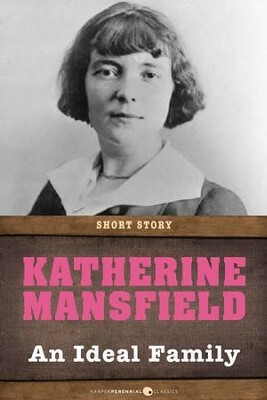 Katherine Mansfield was a popular New Zealand short-story writer best known for the stories "The Woman at the Shore," "How Pearl Button Was Kidnapped," "The Doll’s House," and her twelve-part short story "Prelude," which was inspired by her happy childhood. Although Mansfield initially had her sights set on becoming a professional cellist, her role as editor of the Queen’s College newspaper prompted a change to writing. Mansfield’s style of writing revolutionized the form of the short story at the time, in that it depicted ordinary life and left the endings open to interpretation, while also raising uncomfortable questions about society and identity. Mansfield died in 1923 after struggling for many years with tuberculosis. I'm the author/artist and I want to review An Ideal Family: Short Story - eBook.